What a wonderful image! For the walls here are often made up of two separate walls enclosing a centre filled with small stones called “heartings”. 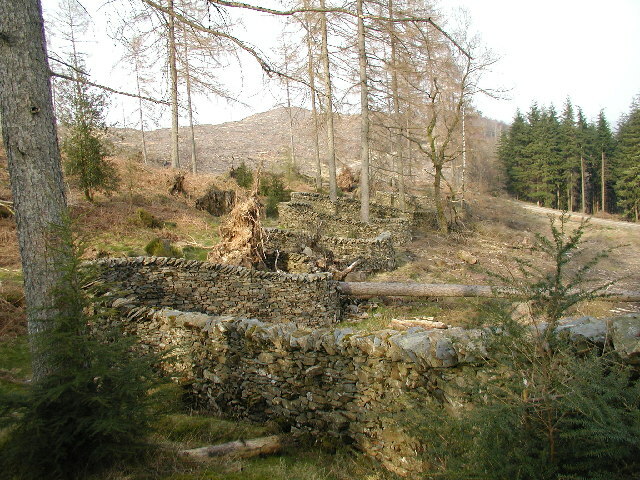 The construction has long “through” stones to tie the two outer walls together and is finished off with a final top course of thinner slab-like stones on top of which the “cams” or coping stones were placed. And Cumberland Wrestling is a traditional sport you can often still see at the Summer Shows including our own Broughton & Millom Show. The origin of this style of wrestling is a matter of debate, with some describing it as having evolved from Norse wrestling; others associate it with a Celtic tradition. It’s great fun to watch and as they start, gripping each other around the backs, it is easy to see why it reminded Nicholson of the Lake District walls which are some of the most distinctive and most loved features of the fells. Quotations taken from Norman Nicholson’s “Wall” in his 1981 collection “Sea to the West”. © The Trustees of the Estate of Norman Nicholson, by permission of David Higham Associates Limited. 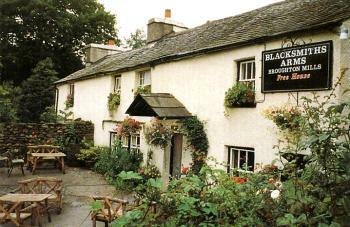 Categories: Lake District Crafts, Lake District Poets, Walking | Tags: Lake District festivals, local attractions, local history, Nicholson | Permalink. Our very favourite Arts and Crafts house is planning a marvellous weekend of interactive arts and crafts for the last weekend of August. In the grounds, there will be innovative sculptures, live music, craft activities, and a large scale creative weaving project and much more. 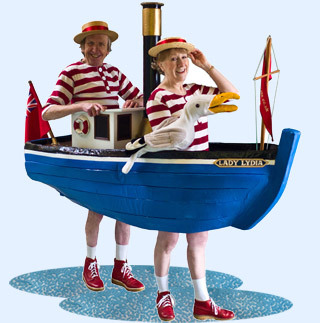 A great fun Lancaster-based theatre company called Inner State who seem to specialise in “Boats with Legs” will be performing and Dan Fox’s Sound Intervention will be creating some marvellous sounds. Admission includes entrance to the house, exhibition and all activities. Adult £8.50 (without donation £7.70), Children FREE. More details about the event, click here. Categories: Arts, Children, Cultural Tourism, Things To Do, Windermere | Tags: Arts & Crafts, children's activities, Lakeland Arts Trust, local attractions | Permalink. Guests with children at Sykehouse Cottage regularly say how much they enjoyed the Zoo at Dalton which is a 10 mile / 20 minute drive away. The Zoo describes itself as a “Safari Zoo” because you can “safari” around some enclosures on foot. They have a good range of big animals including rhinos, lions, tigers, bears, hippos, wolves, snow leopards, jaguar, giant otters, primates, vultures, and penguins. There is an opportunity to hand feed giraffes, penguins and lemurs and there’s also an adventure playground and new coffee shop for 2015. The Zoo is open all year apart from Christmas Day and children are free with the paying adult. We were particularly pleased to learn that in March their second West African Giraffe was born. These beautiful animals with their distinctive light coloured spots are very rare animals; only 61 of these giraffes were living in the wild in Niger 10 years ago. For more details, just follow this link to their website. 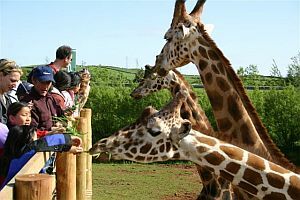 Categories: Children, Things To Do | Tags: children's activities, giraffes, local attractions | Permalink. How marvellous! Here at Sykehouse Cottage we just love the cabinet of curiosities that is Kendal Museum. The place houses the Kendal and Westmorland Galleries, the World Wildlife Exhibition, The Lake District Natural History Gallery and The Hamer Mineral Collection. The late John Hamer was a potholer and mineral collector. He collected one of the most superb and extensive mineral collections in the North of England. This collection exceeds 2000 pieces and includes specimens from disused mines in the Lake District, where mineral collecting is now banned, and other regions of northern England. This invaluable collection is available for research and enjoyment by both geologists and those who are just fascinated by beautiful minerals. A spectacular display from the collection together with a complete catalogue, original note books, display charts and a map locating mine sites are featured as a new permanent display at Kendal Museum. If you would like to know about opening times and current exhibitions, click on a click to their website HERE. Categories: Cultural Tourism, Kendal, Lake District Geology, Lake District Nature, Things To Do | Tags: children's activities, Kendal, local attractions, local history, Nature, Wainwright | Permalink. When we come up for a holiday at Sykehouse Cottage, there are certain things we love to do. Here are five of our favourites. 1) Walk across the fields for a gorgeous pub lunch at the Blacksmiths Arms, Broughton Mills. Click here for details of opening hours on their website. 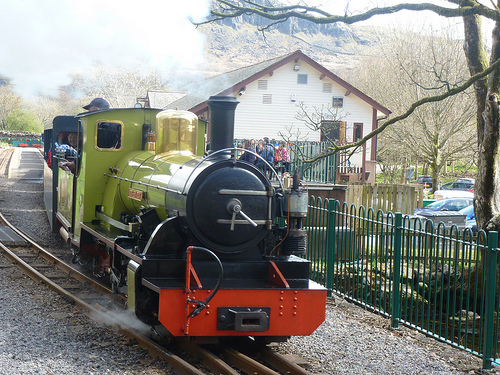 2) Ride on the La’al Ratty : the Ravenglass and Eskdale Steam Railway. Click here for their details. 3) Run around Muncaster Castle for the “Luck” and a pose in the stocks. Click here for their website. 4) Imagine, for a moment, living at Blackwell, one of the country’s finest Arts and Crafts houses. The stained glass! The views! Visit the website here. 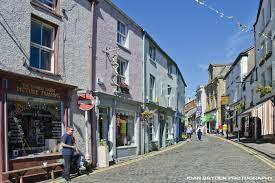 5) Have a mooch around the lovely clothes, craft and book shops in Market Street, Ulverston. Categories: Arts, Local Beer, Things To Do, Ulverston, Walking | Tags: children's activities, La'al Ratty, Lake District art, Lakeland Arts Trust, local attractions, Ulverston | Permalink. Slits Cut into Frozen Snow, Stormy … Blencathra, Cumbria, 12 February. 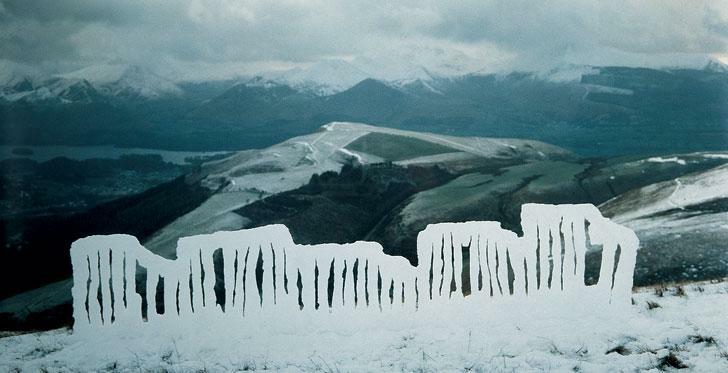 I notice that Abbot Hall Art Gallery’s talk next Monday 2 February, 2pm, is on their series of Andy Goldsworthy photographs. 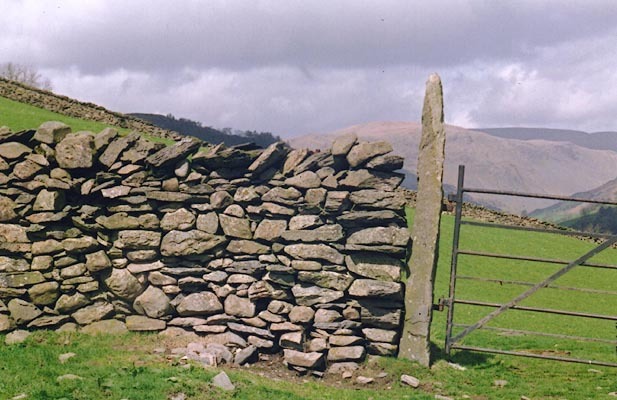 Goldsworthy’s pastoral style of land art has fallen rather out of fashion lately though I still hold his Sheepfolds and Grizedale Forest’s Taking a Wall for a Walk in great affection: they sit quietly, playfully, in the Cumbrian landscape, making me appreciate the art of stone walling. On our picnic walks from Sykehouse Cottage, we still enjoy making a little “Goldsworthy” every now and again. Usually “fallen stars” of sticks, sometimes flags of leaves and twigs, occasionally balanced stones on river beaches. Little Goldsworthys appeal to the scavenger, the creative and the mark maker in us all. The Gallery holds talks about works in their collection every Monday exc Bank Holidays which are included in the admission price. Abbot Hall is well worth a visit if you are in the Kendal area. For further details of their events and opening times, please click on this link to take you to their website. Categories: Arts, Cultural Tourism, Events, Lake District Nature, Things To Do, Walking | Tags: Grizedale, Lake District art, Lakeland Arts Trust, local attractions | Permalink. 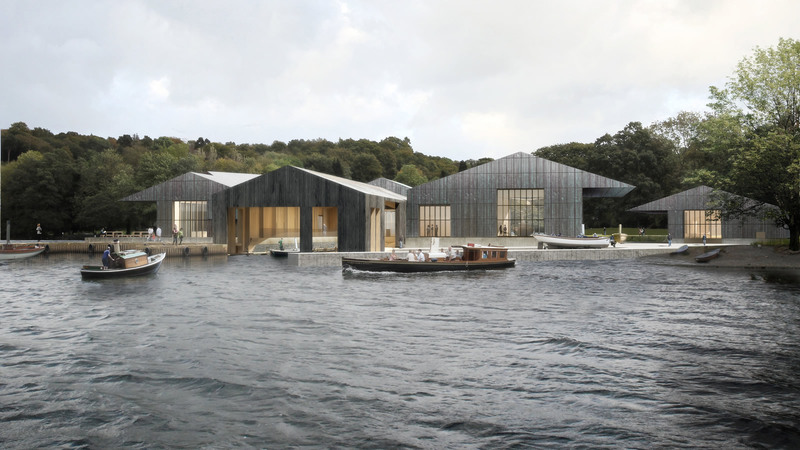 If you read many of our posts, you will realise we are fascinated by all things industrial in the history of the Lake District and so we are thrilled about The Lakeland Arts’ new development, Windermere Jetty. This is the new name for the Windermere Steamboat Museum and will house a unique collection of historic vessels with a working and possibly viewable (yes, please) conservation workshop. Scanning through the publicity, it looks as though “the Museum of Boats, Steam and Stories” will be a fun and inspiring experience and a great addition to a visitors’ itinerary. The opening of Windermere Jetty is scheduled for completion in 2016 and, in the meantime, Lakeland Arts are “Just Visiting” at Brockhole, the Lake District Visitor Centre, where you can find more information this exciting project. Click this link through to the Lakeland Arts main website. And this link will take you to their informative WordPress blog. Categories: Lake District Crafts, Local History, Things To Do, Windermere | Tags: children's activities, industrial history, Lakeland Arts Trust, local attractions, Museum, windermere | Permalink.